My name is Mindy Whalen and I have been a professional hairstylist for over 25 years. I have worked at several hair salons in Maryland. I launched Weddingtresses, LLC in 2004 and have been blessed with much success and positive reviews. 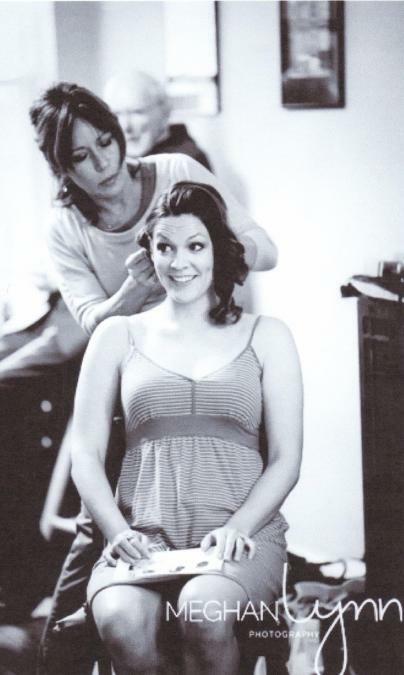 I love the art of formal hairstyling and updos, and would be honored to be a part of your most special day. I will travel to your location so you will not have to deal with traffic or busy salons on your wedding day! I love creating beautiful looks for all my Brides and their bridal party. My work has been featured in several publications including Baltimore Bride Magazine, Models Life Magazine, and the Knot Magazine. Awards include the Knot Best of Weddings 2013, Brides Choice Awards 2008 through 2013, and Couples Choice Awards 2014, 2015, 2016, 2017 and 2018. When you contact me for bridal hair services, I will be the stylist you contract with. I will bring an assistant with me for large groups. If you are in need of makeup services , I will connect you with a fabulous makeup artist. If I am already booked on your wedding day, I can connect you to one of the stylists or makeup artists in my network group. I have come to know so many talented professionals in the last 15 years in the wedding business and will be glad to recommend a fabulous one. I also run my own salon business in a cozy little studio in West Annapolis where I service my cut and color clients during the weekdays. If you are in need of highlights, color, or a haircut, I will be glad to set up an appointment for you. You can email me using the contact form on this website. Please browse through my galleries of work and feel free to contact me with any questions. I would love to be a part of your most important day.